PRESS RELEASE: New music gear, instruments, technologies and techniques are of course important to you - but what about the skills needed to grow and prosper within the modern music industry? The second of DV247's Summer Sessions events takes place on Wednesday 29th July from 4pm 9pm at dv247's store in Romford. It gives you a unique opportunity to learn from, be inspired by, and engage with long-term music industry professionals and experts who've made music 'work' as a business. They'll also be running '101' workshops and activities to help you learn more about the essential tools to help your growth in the music industry, plus there's an overview presentation on self-promotion in the online digital world. Where to start with the legend that is Richard James Burgess? He's a studio drummer, music-computer programmer, recording artist, record producer, composer, author, manager, marketer and inventor. 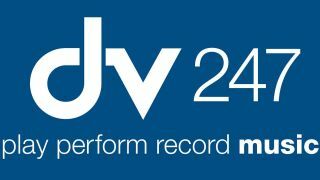 Richard flies in from his Washington DC, USA base to give DV247 visitors an exclusive, intimate insight into how he has adapted, grown and matured as a genuine visionary within the music industry. With his classic The Art of Music Production-Theory and Practice book (now in its 4th edition) and his latest, The History of Music Production published by Oxford University Press in 2014, Richard remains as relevant and important to the creative world of music as he always was - join us for an evening's interaction and inspiration from the man himself. Engage with experienced industry professionals and help secure your creative growth and earnings in today's fast-moving music industry. John Truelove - One of Britain's original dance music producers who has since taken his experience as a composer to establish a leading global electronic music publishing company. Stuart Belsham - Stuart is a representative from the Performing Rights Society in the UK. Registration for this event is free. For further information and full event list please visit www.dv247.com or call dv247 at 0203 1766 247.